To help ensure your mind and energy is optimized for your float, try our other modalities beforehand like infrared sauna, Magnesphere, RestStation & Biomat, and/or our PandoraStar. If you prefer some self-awareness, alone time for yoga, or mediation before your float, we can also accommodate that as well. Be sure to follow the floating tips below to get the most from your session. Our float sessions are priced to be consistent with a massage in Old Town Alexandria for the same time length. Be sure to ask about discounts as most flotation spas offer savings on multiple bookings and membership packages. Remember, floating regularly is the best way to reap the enormous benefits. If you feel apprehensive, call up in advance and ask to have a look round before committing yourself to a float session, or search their website for a video that walks you through the process. At Synergy Float Center we have three different types of tanks that all provide a unique float experience. Once you’ve decided to go ahead, book at least an hour and a half out of your day for the 60-minute experience, 60 minutes for the float and an additional 30 minutes for showering, changing and to prepare yourself for the outside world again. Think about the fact that you’re taking this time for you and your health and embrace it fully. Don’t let your float become another thing you have to fit into your busy schedule. A positive and enthusiastic attitude will help you reap the rewards and benefits. Don’t shave or wax on the day of the float as the mineral laced solution that helps you float can irritate tender skin. Read more in our FAQs here. Eat only a light meal before your float session as a large meal just before you float can cause noisy distractions. Read more in our FAQs here. Avoid stimulants such as caffeine and alcohol on the day of your session. Read more in our FAQs here. The exterior lights are all on motion sensors, so let the lights go off automatically, just relax and let it happen. Have confidence in the solution supporting you. The Epsom salt solution has been designed specially to take your weight, so trust it and try and let go of the muscles in your neck. The water will support you! Try and melt yourself physically and mentally in to the silky, soft warm salt solution. 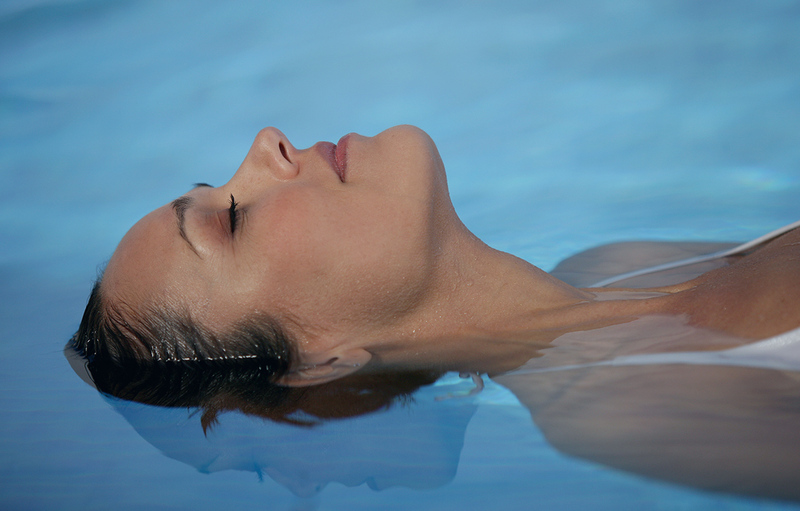 Read our tips on how to calm the mind while floating. Avoid touching your face and splashing about as the salt might get in your eyes or up your nose. Painful! If this happens look for the water bottle and fresh towel to rinse your eyes. Floating with the light on is OK if you can relax better that way (you can always close your eyes). Don’t plunge yourself into inky blackness on your first visit if you are anxious; remember that you have control of the light switch which is in the tank with you. Find a central and still position within the tank so you’re not moving and bumping against the sides. If you do touch the side, then don’t push off as you’ll just shoot across to the other side and bump yourself again – it’s far better to pull away whatever part of your body that is touching. Focus on de-stressing by breathing slowly, deeply and rhythmically and visualizing yourself somewhere you normally associate with being relaxed, such as your bed on a Sunday morning, or the lying on the beach under the sun. If your body becomes restless while floating, try stretching like you’ve just woken up out of bed. Also, switching arm positions to: palms up, palms down, by your side, above your head, or behind your head will also help. Music can be played in the tanks to help you relax, but you need to tell the float associate first. The choices are to fade out the music or leave it on the entire time. Allow yourself some recovery time. Don’t rush off to your next appointment the moment you get out of the tank if you want to get maximum benefits. Spend some time in our post float lounge. A staff member will meet you in the lounge after your float and ask you about your experience. If you want to talk great, they will listen. If you don’t want to talk, then please let them know and they will let you be. Want more floating tips? Contact us today! Ready for your float? Book an appointment here.